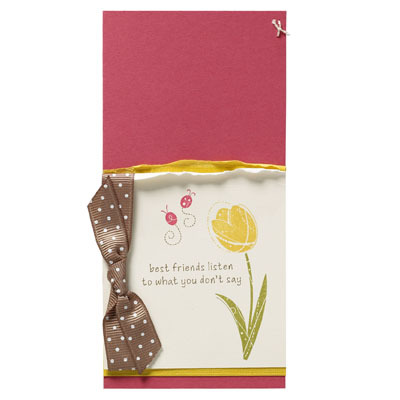 Buy 4, get 1 FREE CARDSTOCK SPECIAL... only through me! From now until the end of June, if you order your cardstock through me I'm offering a "BUY 4 get 1 FREE" special, with no limit on the amount or sizes you can buy! 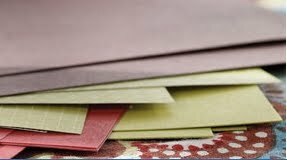 With cardstock prices going up, I want to help you SAVE MONEY NOW. 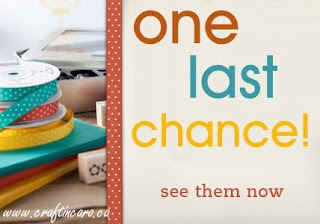 So many colours of cardstock are retiring (and a few are already sold out), so be sure to check out the LAST CHANCE LIST here and order what you need! *Please note that the free item will be applied to the lowest priced item ordered. This special is only available through me so let me know ASAP if you need anything! TO ORDER STAMPIN' UP! PRODUCTS ON-LINE, CLICK HERE! WANT A FREE STAMPIN' UP! IDEA BOOK & CATALOGUE? Receive one free when you place an order with me! Call me at 416-694-4074 or Toll-Free at 1-866-694-4074 or email me at caroline@craftincaro.ca to place your order. Whether a hobby stamper or ready for a Stampin' Up! career, if you love to stamp, you'll fit right in. 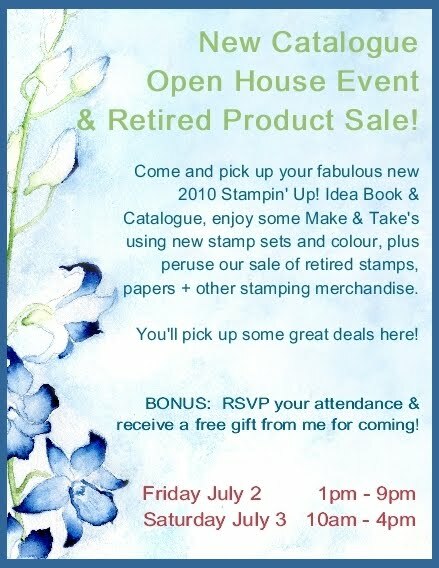 If you're in Toronto or the GTA, visit my studio for a great stamping class -- why not bring a friend or two? Don't miss out on what's happening at Craftin' Caro... follow me on Facebook, Twitter, my Newsletter service or Feedblitz! SAVE THE DATE: July 2 & 3rd - New Catalogue Open House and Retired Product Sale! 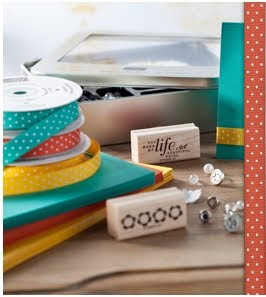 ...using RETIRING stamp sets, colour and accessories!! Yup, all those fabulous stamps that are going to be gone, gone, gone soon are still wanting some luuuuuv, so we'll play with them this weekend and make 10 different gorgeous cards. So be sure to RSVP if you want to join us this Saturday at 1pm! Join me for BIG SHOT fun on Saturday! Join me this Saturday for a great Big Shot stamping class at 1pm, where we`ll be making cool projects using this awesome die-cutting machine. Fun "My Digital Studio" video! You can check out our Digital Crafting section of SU`s online store HERE! Lots and lots of classes! Here's a quickie list at what's coming up, so you can plan which you want to RSVP for! The fun's about to start as its our Spring Stampin' Palooza this weekend, so the studio will be closed today and Saturday while we gear up for some stamping fun! There are spots left if you want to join us... just bring your stamping supplies and join us Saturday morning for a full day of presentations, prizes, food, music and FUN! SU! DEMONSTRATORS: You are invited to join us Friday night for an awesome business presentation by the one and only RONDA WADE, details here. As excited as I am about all the new stamps and accessories that are coming (and as a demo I got to preorder LOTS of fun things yesterday), I still have a bit of a "boo hoo hoo" over my faves that are leaving at the end of this month. Receive a FREE 2010 Catalogue...from me! AN EXCLUSIVE SPECIAL FROM ME TO YOU!!! Place an order of $50 or more with me from now until June 30th and I will send you the NEW Idea & Catalogue book when it's released, no matter what province you live in! Orders can be placed in person, by email, by phone or even online. Please note that this offer is valid only in Canada... sorry. Join Stampin' Up! 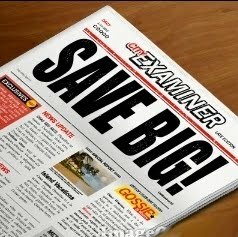 now and save money! Whether you just love to craft, or you want to grow a successful, thriving business, Stampin' Up! is a great opportunity for you. And during the month of June, you can start your own Stampin' Up! business for just $119 with the special Mini Starter Kit! * you can pre-order select items this month from the new 2010-2011 Idea Book and Catalogue, INCLUDING select hostess sets! * you will receive the new catalogue (with your first June order). * you will enjoy full Stampin' Up! demonstrator discounts and benefits, including 30% off your first $200 product order (within 60days of start). * Perfect for both hobby stamper and business builder!!! The Mini Starter Kit--valued at over $220--contains the items listed below; while all items are recommended, you can substitute a like item of equal or lesser value. The Mini Starter Kit also includes the same business supplies that are in the standard Starter Kit. Contact me to learn how YOU can join our team of Canadian demonstrators and receive my special exclusive SNEAK PEEK FREE GIFT! Last chance list of RETIRING items is here! Boy oh boy! It's that time of year when Stampin' Up! lets us know that it's time to clear out the shelves to bring in fabulous NEW goodies with the new catalogue release in July. 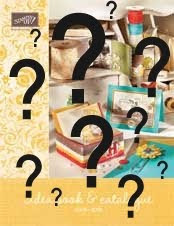 That means that dozens of stamp sets and accessories from the current 2009-2010 Idea Book & Catalogue, and home decor items from the 2009-2010 Fall-Winter Definitely Decorative catalogue and Spring-Summer insert are permanently retiring, and this month is your last chance to get your favourites! Availability: Stamp sets and Décor Elements items will continue to be available until the end of June. Accessories are available only while quantities last.